Ok, so I'm pretty active with keeping my face hydrated and using products to keep it from acne problem. But when it comes to body skincare, I'm seriously nothing but dry. My skin can get so intensely dry that I flake and you can see it all over my black clothing. I don't know, is it just me or is that weird? Needless to say, I know I shouldn't be lazy anymore and really get it back to shape. 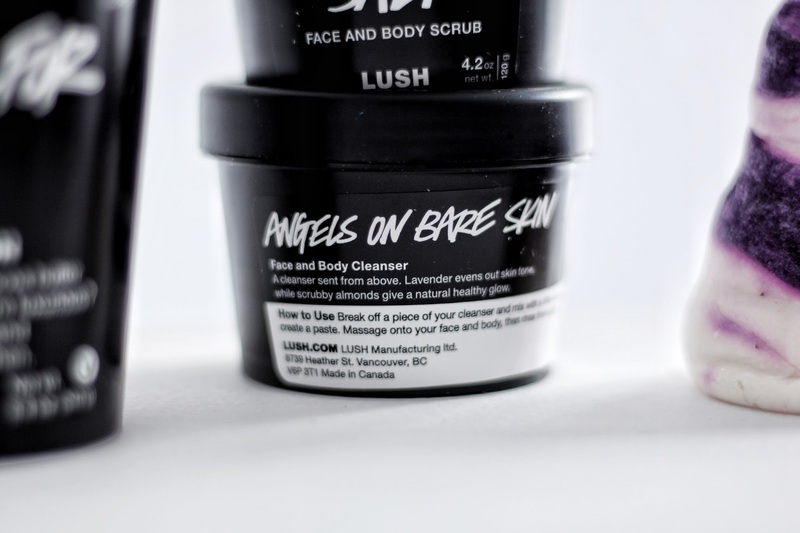 I was so happy when Lush* reached out to me to try out their products because I've heard nothing but wonders. And it's seriously nothing but wonders. 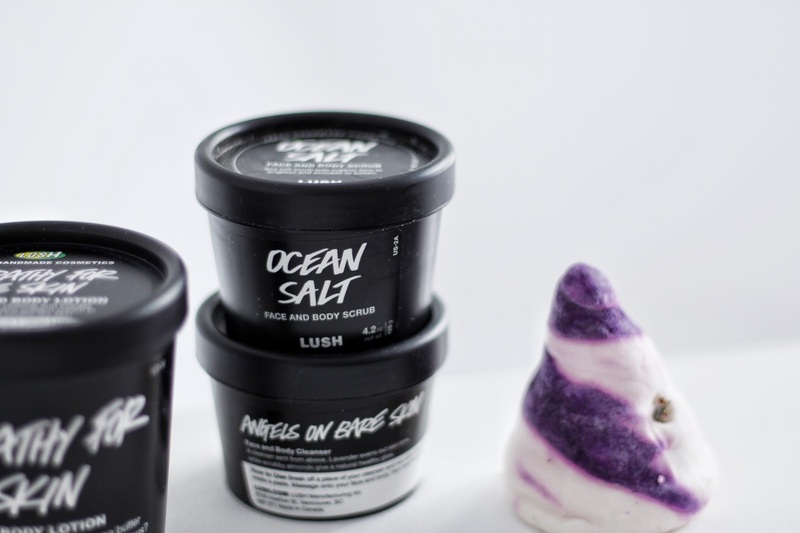 I used these three products for a week every day and my skin is as good as new! This product seriously gave me all the refreshment I needed. It has a great citrusy lime scent with coarse sea salt to really dig in the exfoliating I needed. Although it scrubs off the dead skin, it hydrates it right away with its coconut oil + avocado butter. My skin felt soft already even without a moisturiser. When I opened this bottle and saw that there were lavender flowers - the aromatic feeling instantly soothed me. The kaolin clay and almond combination instantly calmed my skin and clear away all the impurities. After the scrub and cleanser, my skin already felt 100% more clean and soft. But with this vanilla/banana combo lotion that smells like cookies and cream. It instantly gave me this amazing luxuries feeling to the skin. My skin is now more plump, refreshed and so so soft + clean.